Horary astrology uses the language of the celestial bodies to interpret the Cosmic or Divine Mind (or the Will of God depending on your belief system). The underlying assumption is that because everything in the universe is interconnected the horoscope for the question will contain the answer to the question. In ancient times when horary was the dominant type of astrology the astrologer’s job was to interpret the answer to a question using the horoscope for the time when the question was asked. 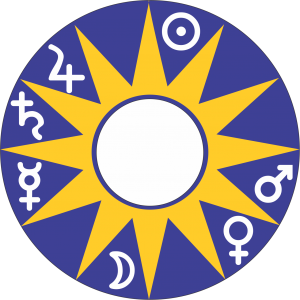 Horary astrology has a long history dating back hundreds of years and uses the basic principles of astrology. 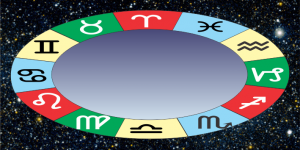 Horary astrology can be used to answer questions of almost any type. While it is famous for answering questions regarding missing objects it is exceptionally useful in understanding the real motives of people especially in questions regarding relationships, business, and investments. It is also very useful in answering questions relating to employment, personal income, health and family relationships. There are few questions that cannot be answered. This system uses a number of basic rules for interpreting the horoscope. These ‘rules’ form the foundation of all astrology interpretations and are part of a long tradition over a thousand years. The 2 lights and the classical planets, along with the signs and houses, are the basic tools used to interpret the horary horoscope. Firstly you ask the question. I will consider your question and sometimes ask for further clarification. It is important that I have a very clear understanding of what it is exactly that you want to know. It is also important that you provide some background to your question, especially the circumstances that led you to ask your question. Once I am satisfied that I understand your question and am happy to proceed I ask for payment. Then I will draw up a horoscope and interpret the answer to your question. If circumstances allow it is best that you allow me sufficient time to evaluate the horoscope. Although it’s not always necessary I sometimes prefer to ‘sleep on it’ as I often see the answers more clearly when the mind is uncluttered. I then email or text you the answer to your question.